What are the Different Types of Overtime Policies? A business can schedule employees to work overtime hours. Most employees work set hours throughout the day and work week. These hours are typically based on a job description that spells out a pay rate and a number of hours an employee will work each week or pay period. Overtime policies are the rules that govern how much an individual should be paid for hours he works in excess of his normal work week. These polices vary based on a number of factors including industry, company, job title, and seniority. The federal overtime laws in the United States are designed to protect hourly employees from excessive work without fair pay. The federal law on overtime policies requires that an hourly employee be paid 1.5 times his normal pay rate for every hour work in excess of 40 hours per week. This federal law is specific to weekly overtime and does not require a minimum hourly work day. There are several exemptions to the federal overtime policies. Some examples include highly paid executives, farm workers, and salaried management employees. A salaried employee is normal considered an exempt position because a person in this job is paid a much higher hourly rate then a typical hourly employee. Most overtime policies do not require a minimal number of hours to be worked per day. They also are not concerned with the maximum number of days to be worked during a week. The primary focus is on a 40-hour work week. Any hours worked in addition to 40 hours must be paid at the inflated pay rate. Any business can schedule employees to work overtime hours. The overtime policies do not include a maximum number of hours that can be requested by the employer. The company can require the employees to work any number of hours per week as long as it pays workers the appropriate pay rate. Many states also have their own overtime regulations, which govern how workers will be paid within that state. These laws are typically more stringent then the federal laws. California, for example, requires that employees be paid at a double time rate for any hours in excess of 12 per day. Some states also include provisions for holiday overtime pay. This is the pay rate for working overtime on a paid holiday. When an employee works a holiday, he is typically paid the holiday pay in addition to the overtime rate for the hours worked in excess of 40 for the week. What is the Legal Difference Between Salary and Overtime? What are the Different Types of Overtime Pay Laws? 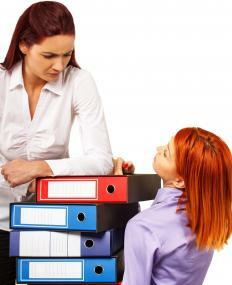 What is an Overtime Exempt Employee?